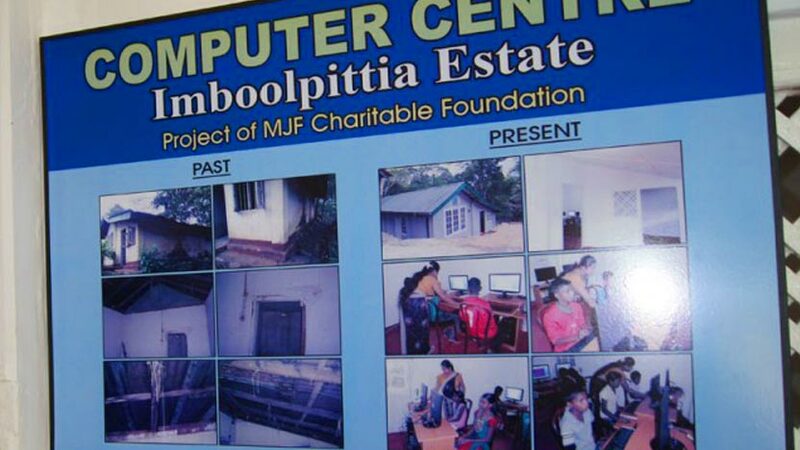 Two computer centres, created exclusively for the children of the plantation community, were formally handed over to Craighead and Imboolpitiya Estates of the Kahawatte Plantations by the MJF Charitable Foundation (MJFCF) on 30 January 2014, amidst a large gathering of plantation workers, children and the estate management. The two projects, amounting to approximately Rs. 1 Million each, will benefit the children of the plantation community as well as those from the surrounding villages. 122 Kids between the ages of 8 – 16 have been enrolled for the Craighead Estate computer training programme and will be provided with a structured IT training, after school from 3 – 6 p.m. every day. The instructor too will be from within the estate community in order for the children to better connect with the operations of the centre and to strengthen the final outcome of the initiative. The estate Manager Gayan, speaking at the event, stated that the MJFCF has provided many facilities such as housing improvements, water supply schemes, health camps and continued services at the Child Development Centres (CDC) for the community and continues to do so even today. “In addition they also provide school bags for all the CDC kids who start schooling every year. But this initiative to provide a computer centre for the estate will no doubt open new avenues for our children through IT education. It will be of immense benefit for them. We will work towards developing this centre and equipping it with internet and other facilities with time,” he added. Thamilselvi, a worker and mother of two, said that her older daughter gained admission to Royal College, Kurunduwatte through the grade five scholarship exam and the programme will be of great use to her. “She studies IT as a subject. So, this centre will be very useful to my daughter. 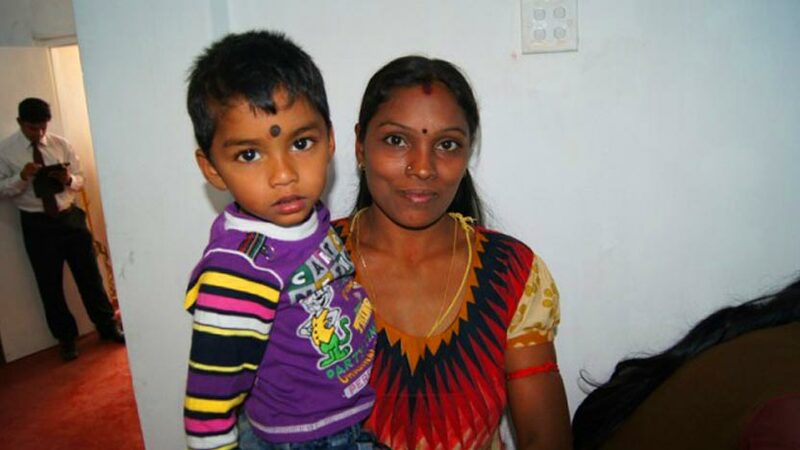 If not for this facility, I would have had to send her for special tuition classes spending a lot of money on fees and transport.” Thamilselvi confessed that she had never dreamt that a computer centre will be established in her very own estate in such a remote area. 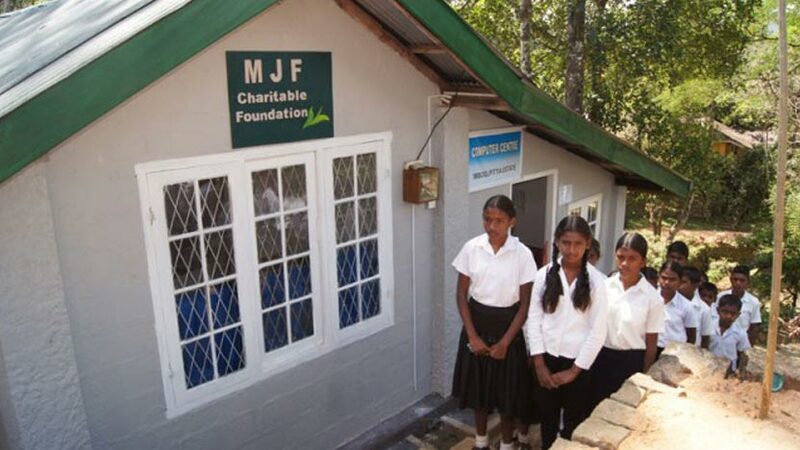 Danushan, a child enrolled at the centre thanked the MJF Charitable Foundation for providing them with the opportunity to enhance their IT knowledge. Similar sentiments were expressed by the staff, workers and children of the Imboolpitiya Estate as well. 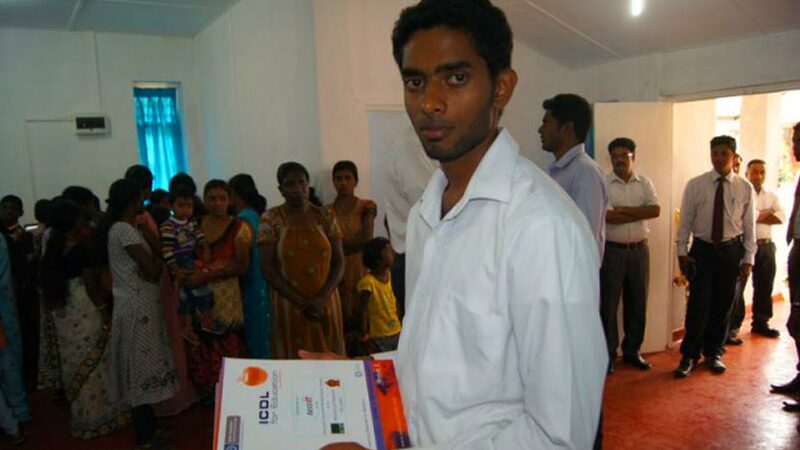 Currently 80 students have been enrolled at the Imboolpitiya Computer Centre.